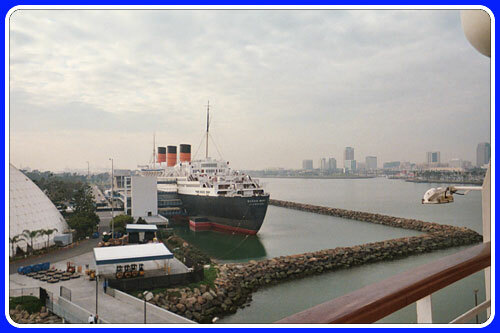 I boarded the ship at the Long Beach ship terminal in California, home to the luxurious Queen Mary and former home of Howard Hughes’ “Spruce Goose.” I was surprised to find out that the terminal Carnival Cruise Lines uses is the old hanger that once housed this mammoth plane! Check in was a breeze thanks to my VIP status which got me a scoot to the front of the line! After the mandatory muster drill, the ship’s mighty horn blew and off I was to sea! 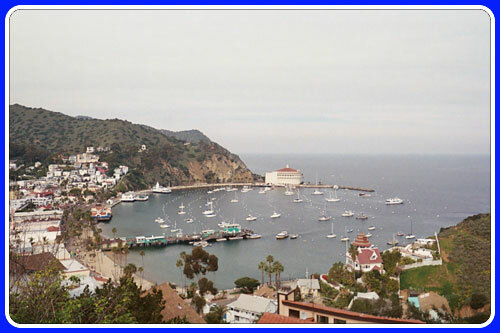 The first stop was to Avalon Harbor on Santa Catalina Island off the coast of California. I wasn’t particularly thrilled to visit again, I had already been there years back and failed to see the charm of this quaint little island. I rented a golf cart and dutifully followed my map which toured the entire island. I took a million pictures and saw many sights that I know I had missed before. After the cart tour, I decided to grab a drink at one of the local bars in the marina. 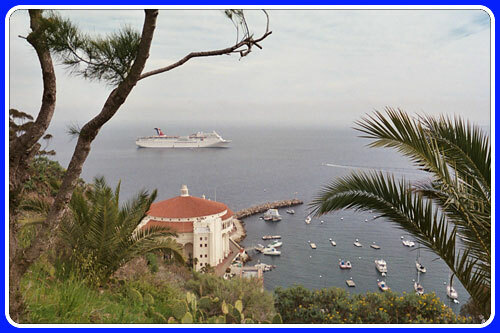 I felt I had conquered all there was to see on Catalina and was ready to board the ship again for Ensenada, Mexico. 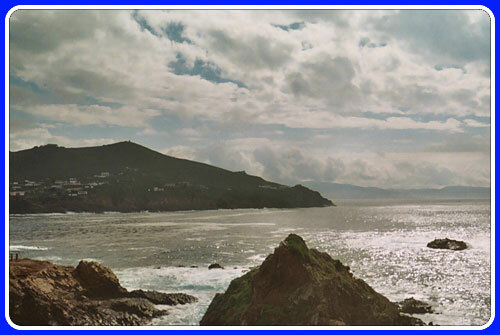 I decided to sign up for two shore excursions in Ensenada. 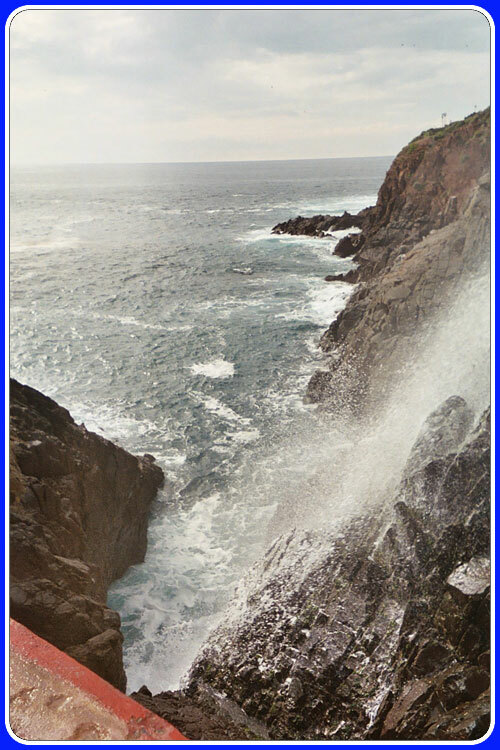 One I had just heard about from the ships purser, a ride to the Punta Banda coast to visit “La Bufadora” (meaning ‘blowhole’) a natural marine geyser that shoots water up to 80 feet in the air. I was immediately intrigued by this beautiful force of nature. With a great howl the geyser repeatedly shot up as the waves hit the canyon below the scenic overlook, often soaking its visitors. I really enjoyed this trip and probably could have stayed there for hours just watching the grand show that was put on. My only dislike with La Bufadora was the marketplace you are forced to walk through both ways to and from your tour bus. Vendors yelling for your business as you walked by, often arguing among themselves for your attention, was something I could have definitely done without. I did stop by a glass-blower’s stand and bought a pretty souvenir that was made just for me. 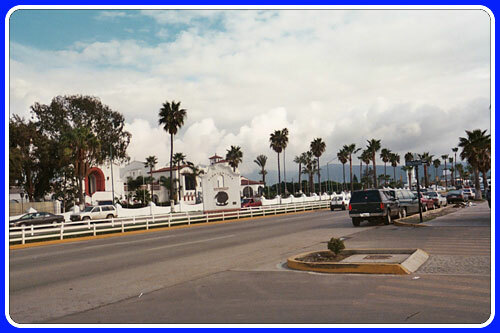 Then it was back to downtown Ensenada for the second part of my Mexican journey. I then walked over to Bodegas de Santo Tomas, a local winery where I was going to take a free tour and then enjoy some wine tasting. I have toured wineries before and thought I would just like to jump to the end, but the tour itself was actually quite interesting. I am a huge fan of champagne and this winery had quite an impressive selection. I learned that each bottle is marked so every two weeks they are turned one quarter until the wine has properly fermented. I hoped that there would be some champagne for me to sample later on in the tour! I was not disappointed at the wine tasting. The champagne was probably the best quality I have ever had. I sampled many of the other wines and they were equally delicious. There was also a nice assortment of snacks, all free of charge for the tourists. This was a very nice touch and great finish to the end of my Ensenada shore excursions. While most visitors to the Baja Peninsula are encouraged to visit “Senor Frogs” a well-known Mexican watering hole, I chose to go off the beaten path just a bit. Down the road from the crazy atmosphere at “Frogs” were some nice sidewalk cafés where you could take a break and have a few drinks. I found the locals to be extremely friendly and accommodating and I was very happy to have visited this beautiful Mexican city. Even though it is one of the older ships of the fleet, the Carnival Paradise was a very nice, clean ship, packed with activities and way too much delicious food. The sail back to Long Beach was calm and the ‘day at sea’ was definitely relaxing. I was very pleased to have sailed on the Paradise and I loved this cruise itinerary. I would definitely repeat this trip!